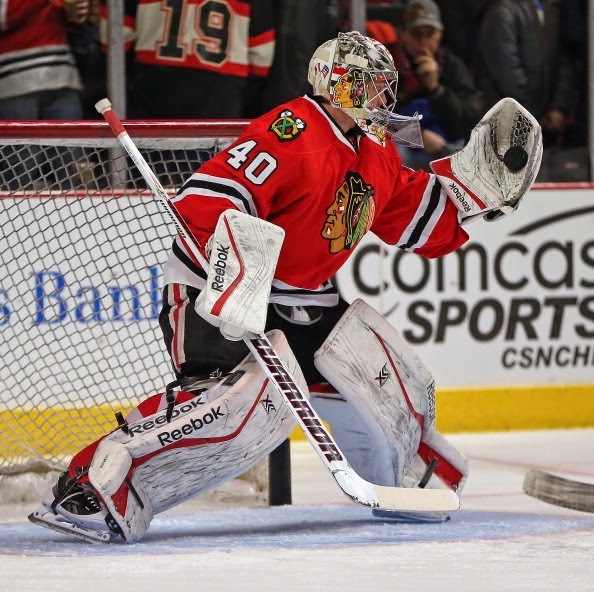 Simpson only made an appearance in one game for the Blackhawks in December, but this beautiful mask is one of the best I've seen this season. 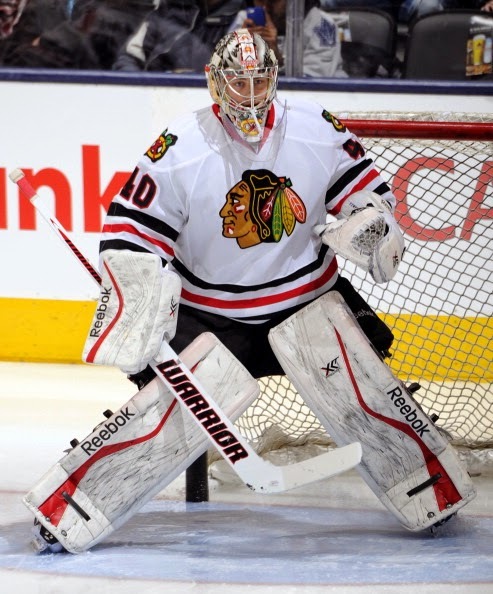 Article found at InGoal Magazine. 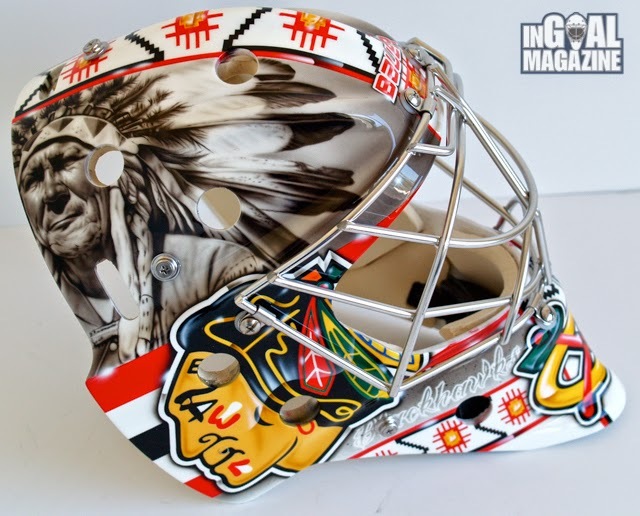 The mask features a military tribute to the Chicago Blackhawks’ first owner. 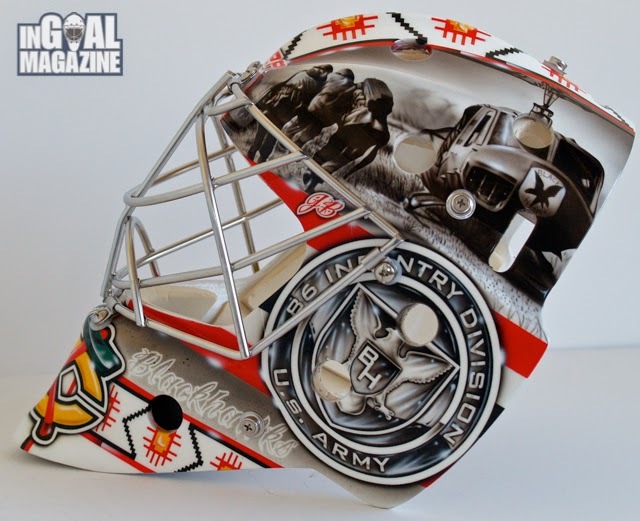 Last year Simpson’s mask payed tribute to Fredric McLaughlin, the Blackhawks first owner who named the team after his World War I Infantry Division, ‘The Blackhawks.’ This year, Simpson continues to pay homage to Mclaughlin’s division and the military on left side of the mask. 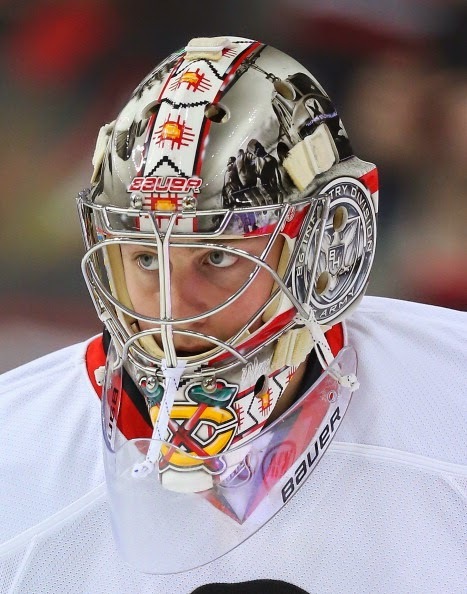 “Being granted artistic freedom and myself an admirer of Native American art and culture, I wanted to incorporate traditional elements throughout the mask that would tie into the jersey and logo nicely,” Bartziokas said.